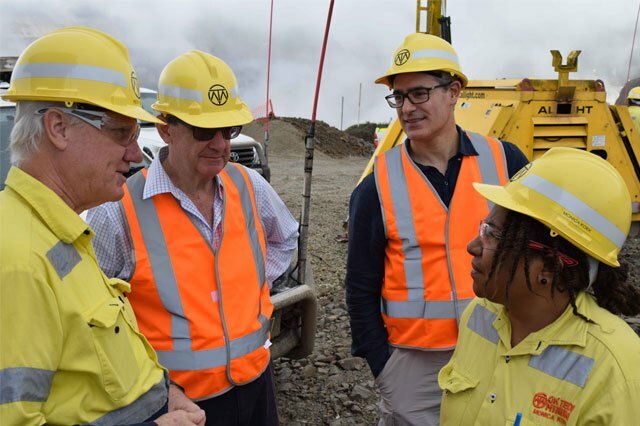 OK Tedi Mining Limited managing director and chief executive officer Peter Graham says the mine has made 12 export shipments since resuming operations in March. Graham was explaining how the mining company had been helping in carrying of the national economic burden, especially the amelioration of foreign exchange shortage in the country. “We have made 12 export shipment since restarting operations in March 2016,” Graham told The National. It resumed production on one of two of its processing circuits on March 1, following a suspension of operation for about seven months because of the dry weather. Full production resumed at the end of March when the second processing circuit was bought on line after the successful completion of a major project to replace the mill shell and gearing. Since returning to operation, both the mill and mine have performed reliably and this has allowed the completion of a number of export shipments. The revenue generated from the shipments is denominated in US dollars which served as a valuable source of liquidity to the Papua New Guinea foreign currency market.